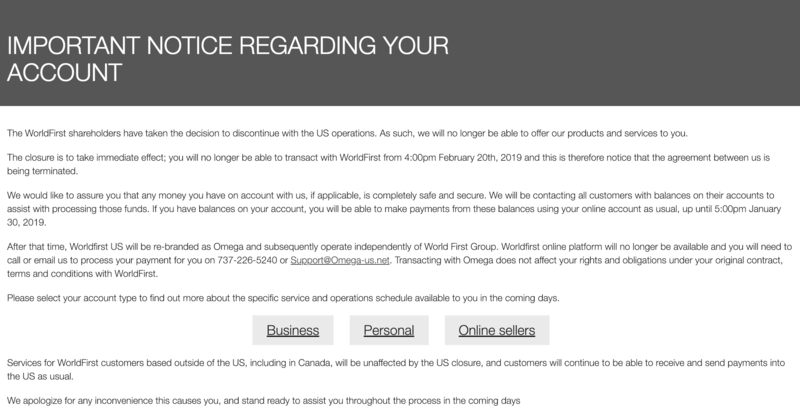 Well-known money transfer company, WorldFirst, discontinued their US operations on January 29th, 2019. Only US users are affected. Users outside of the US can still use WorldFirst. As of February 20th, from 4:00 pm, current WorldFirst US users won’t be able to utilize the online bank. 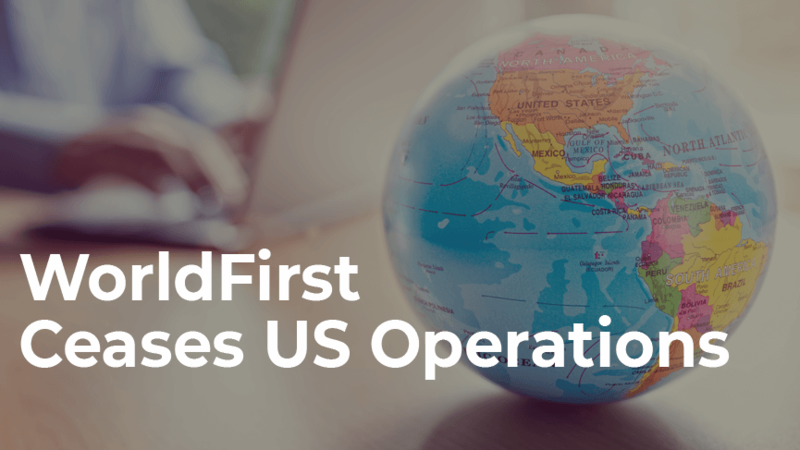 WorldFirst US has been rebranded, and is operating independently of World First Group as Omega. If account holders have payments pending, these will be processed. However, no new transactions or deposits will be accepted. WorldFirst shuts down US operations. WorldFirst is an online, worldwide money transaction service. Its users have been transferring money, internationally and hassle-free, since its debut in 2004. And due to its low exchange rates, WorldFirst has been a great way for US sellers to pay international suppliers or freelancers. WorldFirst US ceased all US operations. This doesn’t affect any other WorldFirst-compatible countries though. If you’re using WorldFirst in one of the following countries, don’t worry! Nothing is changing for you. 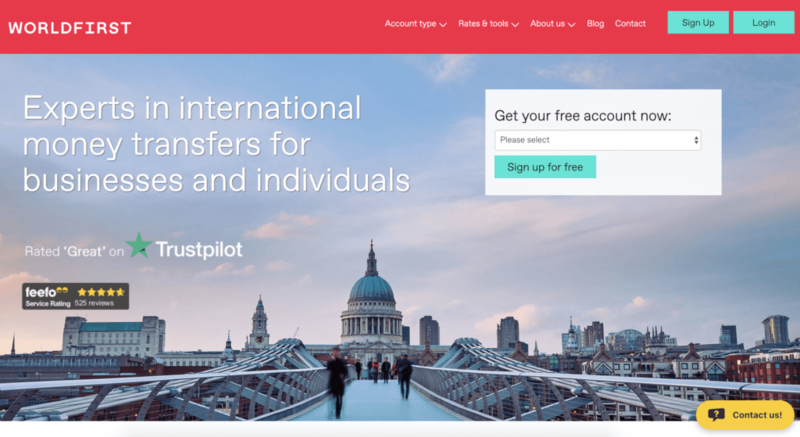 You can continue using WolrdFirst as your usual money transfer tool, and you can continue sending (and receiving) money to any US-based users. Why did WorldFirst US close? We know WorldFirst shareholders made the decision to close and rebrand the US site. However, there has been no official word as to why US operations were stopped. There is talk online, though, that it is related to US and China trade tariffs. And the potential purchase of the platform by Chinese company Ant Financial (Alipay’s parent and an Alibaba affiliate) is a possible cause as well. But again, that’s just conjecture. WorldFirst officials haven’t confirmed the actual reason why WorldFirst US is now Omega. If you go to WorldFirst US, you’ll be redirected to the Omega site. It’s there that you’ll find information about the change. And, conveniently, they’ve broken it out according to usage: Personal, Business or Online Selling. If you are a WorldFirst US user, contact Omega Support for any and all help you might need. And your open transfers to existing beneficiaries are available until February 7th. But, as of Friday, February 8th, any incoming and remaining balances will be returned to the sender. Plus, after February 20th, 2019, phone and email support will be discontinued. What should I do if I bank with World First? Do not Panic. Again, this only affects US users. If you are based in the UK, Canada or any other countries listed above, you have access to WorldFirst. You do not need to panic. And no need to panic if you’re a US user either. For many of us, this is a stressful time. Losing access to World First is a big deal. But, if we stay calm and reach out to Omega support, we’ll have our new accounts up and running, sending and receiving money in no time. I’ve spoken with them already, and I can tell you that they want to help. They’ll answer your questions, and address your concerns. So as you move forward with this startling news, remember – we don’t have to panic. Omega’s support team is on hand to make getting over this hurdle easier! Reach out to Omega support by calling 737-226-5240 or by email at [email protected].